This entry was posted on October 3, 2017 by Marketing. They say that if you can make it in New York, you can make it anywhere. For the past decade or so, Brooklyn has been the hottest borough in the city, even surpassing Manhattan, especially for the millennial demographic. With wide-ranging neighborhoods from the ultra-hip DUMBO and Park Slope to up-and-coming Bedford-Stuyvesant and East New York, or the suburban feeling Midwood and Canarsie, there is something for everyone. Brooklyn maintains a strong real estate market. According to a report by Corcoran, a real estate group, sales closed up 17% year over year in the second quarter of 2017, however, this was mostly due to new construction coming on the market. The median price for Brooklyn soared to $760,000, a jump of 27% from 2016 and a 9% increase from the first quarter. Surprisingly for such a hot market, the average number of days on the market grew 22%, to an average of 79 days. While prices are expensive throughout much of the borough, there are neighborhoods that score well on the buy versus rent metric, even in a city of renters. “Brooklyn buyers willing to venture farther from Manhattan will find their investment trumps renting quite quickly,” shares Bloomberg.com. Despite moving up in the food chain, Brooklyn still holds onto its old time charm. The neighborhoods truly are neighborhoods where people develop relationships with one another.. Each neighborhood has its own look and feel. For instance, Williamsburg is divided between the invading millennials and the longstanding Orthodox Jewish community. Brighton Beach, known as “Little Odessa,” reflects the Russian heritage of those who have settled there. 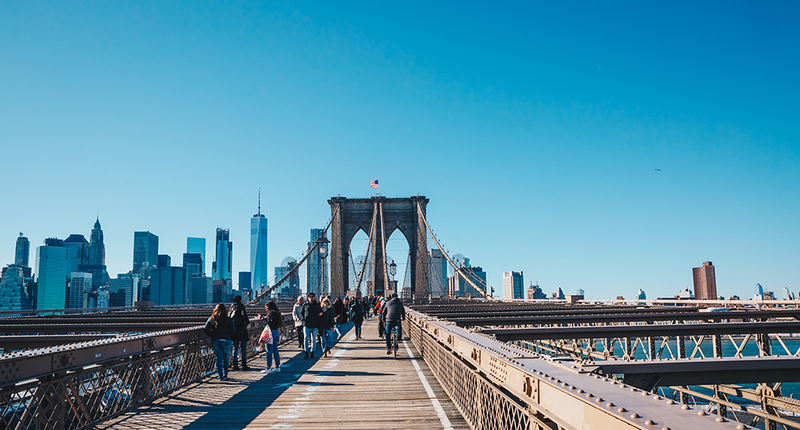 Brooklyn even has one neighborhood, Brooklyn Heights/Cobble Hillthat recently joined the list of the richest ten neighborhoods in New York City. It is the only neighborhood outside of Manhattan to make the list. Brooklyn provides easy access to the jobs and entertainment of Manhattan without making the same compromises. Unlike Manhattan, you aren’t relegated to a postage stamp apartment in a high rise building. There are opportunities to be had in new condo construction, the classic brownstone, or even in the outer neighborhoods… single family houses with yards. With direct trains to Manhattan from most neighborhoods, a car is not a necessity. However, if you decide to keep a car, parking is at least possible. Brooklyn is also a great neighborhood for families. 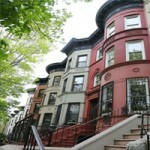 A report from StreetEasy.com looked at the percentage of apartments boasting two or more bedrooms, average rents, and school quality to find the most affordable locations for families. Greenwood topped six Brooklyn neighborhoods in the top ten, with relatively affordable homes, good schools, and easy access to Prospect Park. Next time you are looking for investment opportunities in the Big Apple, don’t neglect Brooklyn! And, to learn more about how we can help you invest in the Borough of Homes and Churches, connect with our team at Patch of Land. This entry was posted in All Projects, Building Wealth and tagged Brooklyn, housing market, real estate investing on October 3, 2017 by Marketing.